Advance Pre-order gives investors the chance to reserve a position in the queue, with the confidence of a property meeting the specifics of our Acquisition Strategy. There are two benefits to doing this. Firstly, all investors will qualify for 50% reduction in transaction fee paid by cashback when the property completes, Secondly, you can secure a full allocation on a first come, first served basis. Funds will not be subjected to scale back, and amounts not deployed in the next property will simply move forward, in the queue, for deployment in the subsequent property. The Advance Pre-order process gives us much greater visibility of investor demand, so we can more closely match the frequency and size of future PBSA launches with the demand from our investor community. The Auto-invest feature automatically deploys funds across the next five property listings (Residential & PBSA), and isn’t subject to scale back. As a bonus we offer 5% interest on funds that have been committed to Auto-invest but have not yet been invested in a property. Update June 2018: Auto-invest has been decommissioned to make way for new product developments. Watch this space! This programme can be accessed via a Relationship Manager for customers investing larger amounts – If you’d like to access this programme please email us to arrange a call back. For PBSA in Advance Pre-order, investments will be processed on a first come first served basis, and not subject to scale back. 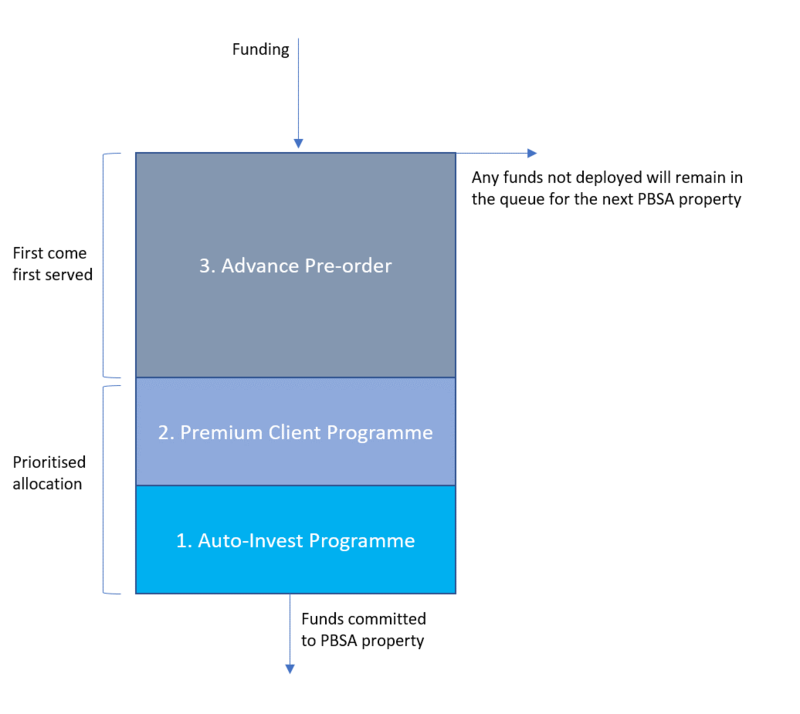 Any funds not deployed will remain in the queue for the next PBSA property.